Watch NCIS Season 15 full episodes online, free and paid options via our partners and affiliates. On NCIS Season 15 Episode 24, Sloane believes a man who held her hostage and tortured her years ago in Afghanistan and is presumed dead, is alive and in D.C.
On NCIS Season 15 Episode 23, Gibbs learns that a deceased Navy Captain has been hiding in a fallout shelter after his boat was attacked and he swam to shore. On NCIS Season 15 Episode 22, evidence reveals a team member is a hitman's target and the team combs through old case files to find who is seeking vengeance. On NCIS Season 15 Epiode 21, Sara Carter begs Gibbs to reopen her mother's murder as she believes the local authorities convicted the wrong man. On NCIS Season 15 Episode 20, the team searches for a petty officer suspected of assault who escapes when the sheriff transporting him crashes into a lake. On NCIS Season 15 Episode 19, when an NCIS case reveals a 10-year-old orphaned refugee is the target of a violent gang, Gibbs is granted protective custody. On NCIS Season 15 Episode 17, a 16-year-old cold case may get solved when Gibbs and Ducky see an antique war stick on TV that could be the murder weapon. On NCIS Season 15 Episode 16, the team works to clear the name of retired Marine Sergeant when cyanide is found in one of the care packages he sends to Marines. On NCIS Season 15 Episode 15, a deal is struck with murderer who claims he can help convict Gabriel Hicks, the murderer who deceived Gibbs and Fornell. On NCIS Season 15 Episode 14, Vance orders Gibbs to work with former FBI Agent Tobias Fornell, who is now working as a P. I. to find a missing Navy commander. 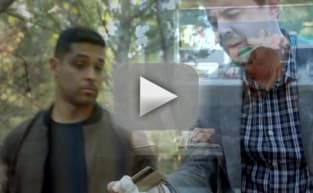 On NCIS Season 15 Episode 13, McGee and Torres are left in the lurch when the parents of a witness to a hit and run take their daughter and go on the run. On NCIS Season 15 Episode 12, JAG Navy Captain Bud Roberts helps the team investigate when a seemingly happy Navy Lieutenant looks to have taken her own life. On NCIS Season 15 Episode 11, for a sting operation tracking illegal drug-running out of the Norfolk, Torres and Bishop go undercover as a criminal couple. On NCIS Season 15 Episode 10, when a Senator's son ends up in ICU, Gibbs and the team investigate the altercation that caused his life threatening injuries. On NCIS Season 15 Episode 9, Thanksgiving plans are put on hold when an elusive international arms dealer murders an MI5 officer who was Sloane's close friend. On NCIS Season 15 Episode 8, a person of interest in a bribery and fraud case ends up murdered after a runner is led to his body after hearing a strange voice. On NCIS Season 15 Episode 7, a convicted felon swears the NCIS agency framed him for murder a decade ago in which FBI Agent Fornell was the lead investigator. On NCIS Season 15 Episode 6, when a petty officer is found murdered on a golf course, McGee works on the victim's ham radio to locate a key witness. On NCIS Season 15 Episode 5, someone close to the team is kidnapped and they must find a way to save them before it is too late. On NCIS Season 15 Episode 4, during a power outage, a sailor is kidnapped and Special Agent Jacqueline Sloane, a forensic psychologist, joins the team. On NCIS Season 15 Season 3, new evidence from a decade-old murder case is uncovered when Torres' partner mysteriously vanishes during a stakeout. On NCIS Season 15 Episode 2, the team investigates when the body of a missing Navy Lieutenant who disappeared is located by a cemetery grounds crew. On NCIS Season 15 Episode 1, the team tirelessly searches for Gibbs and McGee who were last seen fighting an elusive group of rebels in a Paraguay jungle. Gibbs: --snowball’s chance in Arizona. Permalink: --snowball’s chance in Arizona. El Jefe: You set off the radiation alarm! McGee: You shouldn’t have let me near the computers. Permalink: You shouldn’t have let me near the computers.